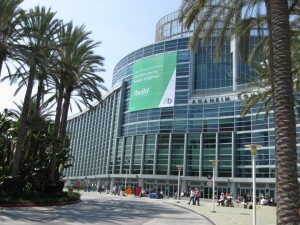 On Tuesday, Microsoft unveiled more details about the future Windows 8 operating system at the BUILD developer conference in Anaheim, California and we could not miss out on this event! Avast has always been able to fully operate on every future Windows OS starting at the public Beta version and our users can rely on us regarding Windows 8. Microsoft is going to redesign the classic Windows 95 interface and prefer a new "Metro" user interface which is optimized exclusively for touch-screen tablets. It will appear the same on laptops and desktops, too. They will ship only one Windows version which will run on all Windows 8 PCs: Desktops, laptops, tablets, cell phones, big screens, and small screens. No more separated OS versions like in the past (see Windows and Windows CE/Windows Phone variants). Every desktop application should now support both interfaces - and so will avast! There are over 240 lectures here and each one is somehow dedicated to Windows 8 (new system features, developer's tools, best practices, optimizations, tutorials, etc). Microsoft offers us more than thirty Hands-on Training labs where we can test our software and subsequently solve compatibility issues right away. Windows 8 will also come with an Application Store (much like Apple's Mac App Store) which will allow you to download free/paid touch-friendly Metro-style apps built for the new OS. Microsoft tries really hard to make developers happy, because developers must start writing new Metro apps for Windows 8. Once Beta is released, the thousands of Metro apps must already exist (and maybe also available in their store). 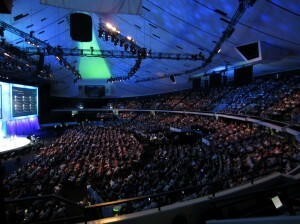 That's why they also gave away 5000 Samsung tablets to conference attendees to start with Metro development. Despite the prototype claims on the tablet, the specs are quite impressive (Intel Core i5, 4GB RAM, 64GB SSD, 2 cameras, 3G+WiFi, a bunch of sensors, 11.6-inch screen and dock with HDMI and Ethernet). On the contrary, fan noise is very noticeable, as is the heat coming out of the top vent. 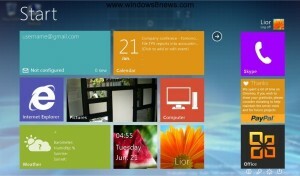 We will definitely have to wait on ARM-based device with Windows 8 inside. Microsoft CEO Steve Ballmer said in his keynote speech that 500,000 copies of the Windows 8 preview have been downloaded since their official announcement last night. That's impressive, isn't it?